We are one of the leading trader, supplier, reatiler, wholesaler, distributor, exporter & service provider of Generic Medicine. Itraconazole tablets and capsules are used to treat fungal infections of the toenails.Itraconazole oral solution (liquid) is used to treat yeast infections of the mouth and throat or of the esophagus (tube that connects the throat to the stomach).Itraconazole is in a class of antifungals called triazoles. 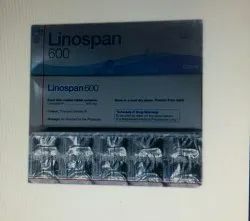 Linospan 600 MG Tablet is used for the treatment of antibacterial infections by stopping the production of proteins that help the bacteria to develop. Linospan 600 MG Tablet belongs to a group of organic compounds known as oxazolidinone antibiotic. Aside for use in the curing of most gram-positive bacteria it is also useful for the treatment of tuberculosis. It can be both had orally or can be injected into the body. We are specialized in offering excellent quality Generic Medicine. Offered medicine is tested by experts in order to supplying a pure range from our end. This medicine is processed under the observation of our pharmaceutical experts using best quality ingredients keeping in mind medical norms. The offered medicine is available in various packaging options in bulk order. 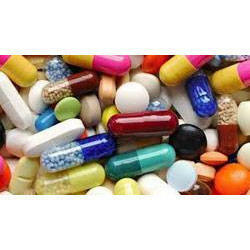 We have carved a niche in offering supreme quality Generic Medicine. The given medicine is processed under the favorable conditions by our pharmaceutical professionals using quality ingredients. This medicine is available in different packaging options in bulk quantity. Our customers can avail this medicine from us at affordable price. 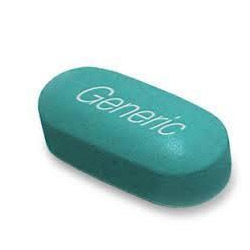 Looking for Generic Medicine ?